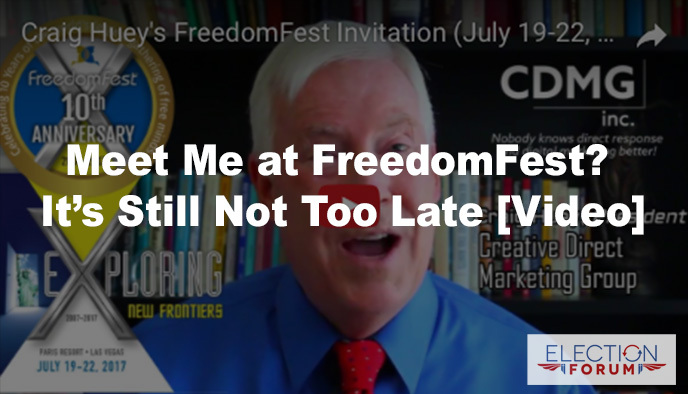 FreedomFest features controversial undercover journalist James O’Keefe as the keynote speaker. O’Keefe is known for his Project Veritas undercover videos on Planned Parenthood selling body parts and a CNN producer candidly revealing there’s no collusion between Trump and Russia. Other guest speakers include Forbes billionaire Ken Fisher; Joseph Farah, CEO of WorldNetDaily.com; conservative author and speaker Dinesh D’Souza; and Steve Forbes, chairman and editor-in-chief of Forbes Media. Enter this code FS2017 when you register. Here’s a quick video I did on the conference.